A New York Times article from November called “Breath. Exhale. Repeat: The Benefits of Controlled Breathing” espouses the many benefits of controlled breathing- a tool helpful for both student and teacher in these high-stakes situations. Deep, slow breaths can regulate both the body’s autonomic nervous system (which is the unconscious system that regulates digestion, heart beat etc.) which in turn affects the body’s and parasympathetic nervous system. Place your hands over your heart and take three slows deep breaths, counting from 1-6 as you breath in, then pausing before counting one to six as you breath out. Switch hands and repeat the process, counting from 1-6 as you breath in, then pausing before counting one to six as you breath out. Each set of six breaths you complete is one minute. This makes it very possible to do a one to two minute practice that can help you and your kids to relieve stress before beginning testing. You can also remind them that if they get stressed during the test, they can repeat this process. Lastly, if it is too hard to go for six seconds, maybe shorten it to four and see if that is better. Teachers with whom I work have also mentioned that witnessing the students’ stress in test-taking situations is also quite difficult. Here is another practice that teachers can do to help themselves and to feel less powerless in these situations. As you do this, you can even imagine what you think that might look like for the person (in this case the student or students). Maybe picture them smiling and chatting with friends later, getting a hug from a parent, feeling accomplished when the test is over. You might imagine this person surrounded in light or love, something my grandma used to suggest I do for people in pain and suffering in my own life. Begin in the formal mindfulness posture that is comfortable for you. Take a few deep, centering breaths. When you are ready, notice how you are right now. What thoughts, feelings, physical sensations are you experiencing? Take a few moments to get in touch with these elements of your experience. As you do this, begin to rest in knowing that you, like all humans, desire health, happiness, and peace. Understanding this, send yourself these wishes: May I be happy. May I be healthy. May I find peace. As you do this, notice how it feels to send these wishes to yourself and repeat once again: May I be happy. May I be healthy. May I find peace. When you are ready, let go of this self-awareness and instead bring into awareness the face and being of a person (or creature) you love. When you have this person in your awareness, remember that this person, too, like you and all humans, desires health, happiness and peace. Understanding this, send your loved ones these wishes: May you be happy. May you be healthy. May you find peace. As you do this, notice how it feels to send these wishes to someone you love and repeat once again: May you be happy. May you be healthy. May you find peace. When you are ready, let go of your loved one, and instead bring into awareness the face and being of a person who is merely an acquaintance. When you have this person in your awareness, remember that this person, too, like you and all humans, desires health, happiness and peace. Understanding this, send these wishes: May you be happy. May you be healthy. May you find peace. As you do this, notice how it feels to send these wishes to someone you have only met in passing and repeat once again: May you be happy. May you be healthy. May you find peace. When you are ready, let go of your acquaintance, and instead bring into awareness the face and being of a person with whom you struggle. Perhaps you find it difficult to interact with this person in some way. When you have this person in your awareness, remember that this person, too, like you and all humans, desires health, happiness and peace. Understanding this, send these wishes: May you be happy. May you be healthy. May you find peace. As you do this, notice how it feels to send these wishes to someone you with whom you have struggled and repeat once again: May you be happy. May you be healthy. May you find peace. When you are ready, let go of the person in your awareness currently, and instead allow your awareness to include all sentient beings, remembering that all in this word desire health, happiness and peace. Understanding this, send these wishes: May we be happy. May we be healthy. May we find peace. As you do this, notice how it feels to send these wishes to all sentient beings and repeat: May you be happy. May you be healthy. May you find peace. Let go of this wish, and rest again in your own experiences. Take a few deep, centering breaths and, if you have time, reflect upon what it was like to send these wishes to yourself and others. Were there times that this practice was difficult? Times it was joyful? Relieving? Be curious about your own experience. If there are a number of teachers who wish to engage in this practice on testing weeks, you could even meet before school and spend a few minutes together before the students arrive. How we frame experiences will make all the difference in how they affect us. Our stress in no way helps students to succeed. Knowing and understanding this will help to make self-care in these moments a priority. As the old truism states, we must let go of the things we can’t control- as hard as that is. 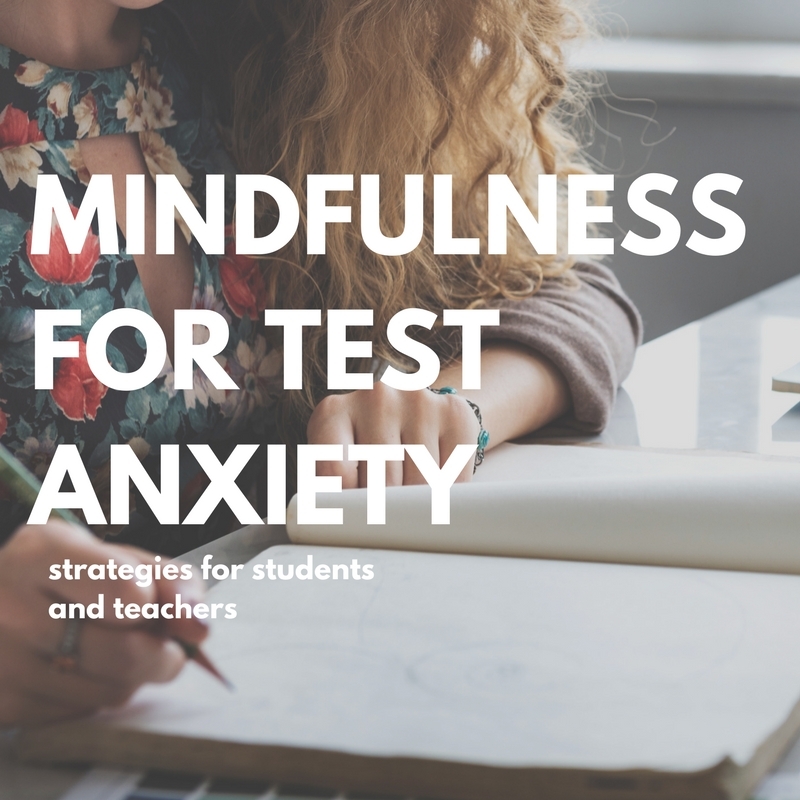 Perhaps instead of internally fighting with the reality of testing, it can be re-framed as a chance to help our students in times of stress by giving them life-long tools like coherent breathing. It can also be a chance to help ourselves by experiencing compassion in ways that are life-giving as opposed to draining. In this way, we begin to experiment with ways to manage powerlessness in difficult situations. I am finding all your blogs so helpful. Thanks.